but can't afford the trip. 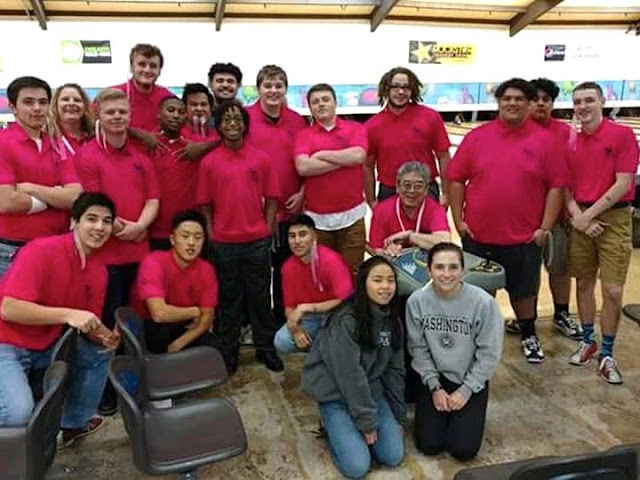 Three of Shorewood's bowling teams have qualified for the WIAA state championships, to be held February 1-3, 2018 at Narrows Plaza Bowl in University Place, west of Tacoma. Unfortunately it is a very costly trip and many of the bowlers are unable to afford the expenses. The kids are doing some fundraising to pay for the team fees. Parent Michelle Van Patten is hoping to raise the funds for the accommodations, transportation, and meals. In the past, the amazing coach has paid for fees out of pocket and I don't believe she should have to do that. Please help us come together as a community to help them compete at State. Michelle has set up a fundraising page at YouCaring and has raised a third of her goal of $1500.